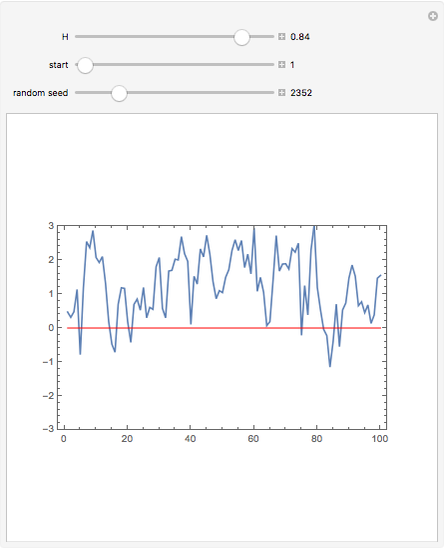 This Demonstration generates a fractional Gaussian noise time series of length with Hurst coefficient , mean 0, and variance 1. 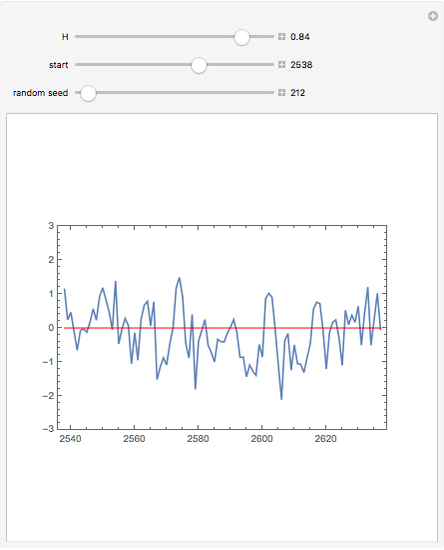 The plot shows 100 successive observations at a time. To avoid clutter, only the center is labeled on the horizontal bottom frame. By sliding the "start" bar, you can view successive subsequences. When , the series exhibits long-range dependence, whose strength increases with . Series with typically have long runs above and below the mean. For , the series is dominated by high-frequency noise and is sometimes called anti-persistent. 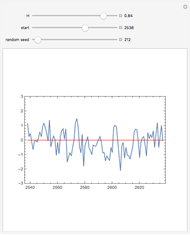 The case corresponds to Gaussian white noise. 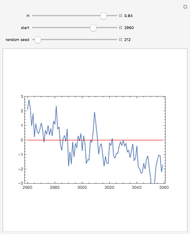 To visualize the entire time series, click the "plus" button to the right of the "start" slider to show the animation menu, then click the "play" button. 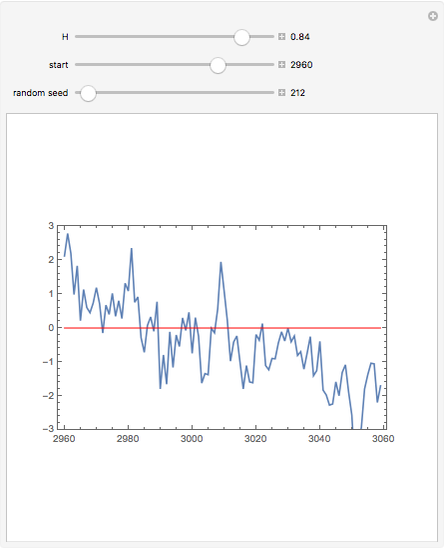 By using the "random seed" slider, you can view other time series. 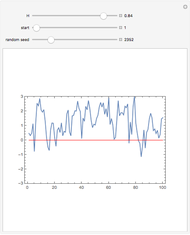 provides a review of the fractional Gaussian noise and related long-memory time series models. Ian McLeod "Fractional Gaussian Noise"